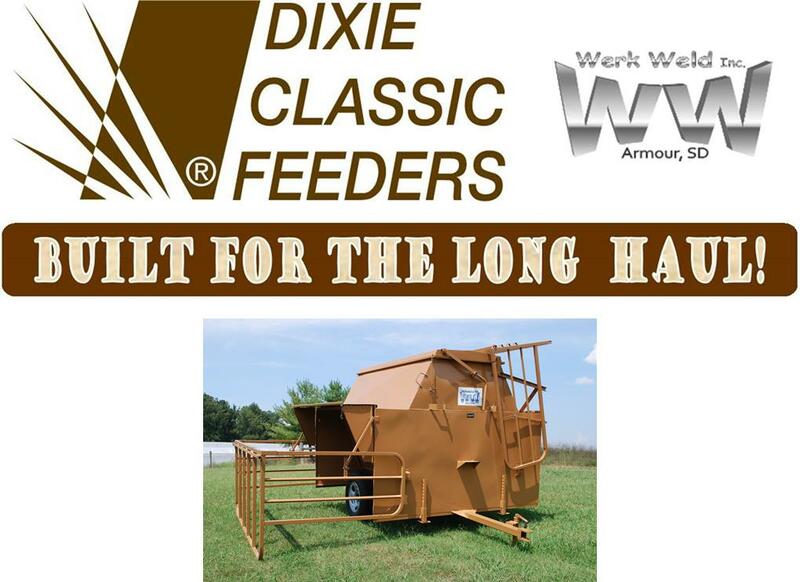 The Dixie Classic Feeding Equipment lineup is manufactured exclusively for Pasture Management Systems, Inc. in Armour, SD by Werk Weld Inc. A leading manufacturer of high quality cattle feeding equipment, Werk Weld, Inc. was founded in 1982. Utilizing 45+ years of ag-related manufacturing knowledge, they seek to provide products that are unmatched in durability, strength, and value. Their continuing efforts to seek out innovative solutions plus their 25+ years of experience help Werk Weld, Inc. deliver a product which exceeds their customers’ expectations. Werk Weld Inc. is a privately-owned, family business currently in its third generation of Werkmeister family leadership.